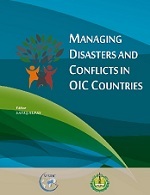 This study provides an overview on disasters and conflicts in OIC countries during the last four decades. It discusses the risks of and vulnerabilities to natural hazards and conflicts and offers strategic approaches for preventing and mitigating the impacts of potential disasters and strengthening the peace and stability and enhancing collaboration among the member countries in this important area. The study also includes analyses of the state-of-the-art approaches in response to and recovery from disasters, and provides relevant recommendations and policy implications on how the countries can improve their resilience to these disasters. 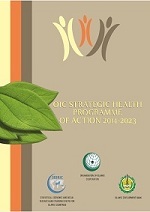 The OIC Strategic Health Programme of Action 2014-2023 (OIC-SHPA) is a framework of cooperation among OIC member countries, relevant OIC institutions and international organizations in the field of health. The OIC-SHPA aims to strengthen health care delivery systems and improve health situation in OIC member countries especially by facilitating and promoting intra-OIC transfer of knowledge and expertise in the domain of health.